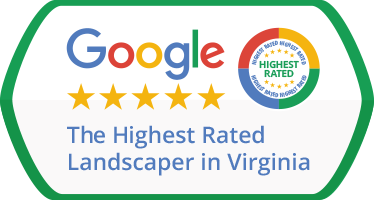 I have been working with Green Hill Landscaping for several years now and I couldn't ask for a better company to handle the care and maintenance of my property. Before I signed on with Green Hill I used several different landscaping companies and was never 100% satisfied. Green Hill offers a maintenance program which insures that my property is tended to at the right time of the year without me having to give it a second thought. I especially appreciate the routine checkups since I'm very busy and cannot always keep up with what needs to be done. Their staff is friendly and informative and most importantly can get the job done at an affordable price. I highly recommend Green Hill! I've had a different experience than some of the others here - been with them for 2+ years. These guys are great! Lawn mowed timely, leaves cleared and gutters cleaned! Have used Green Hill for over 4 years now (maybe more?). They offer timely service, good pricing, and have dealt with a variety of issues, including fixing drainage around the house that was causing issues. They've built garden beds and borders for me, trimmed trees, and performed a variety of gardening chores very well. Definitely thumbs up! We're new customers of Green Hill Landscaping of Great Falls. Recently, we had a large tot lot removed and replaced with grass, and we had 15 screening trees installed. The crew members were friendly, and the jobs were done well. We also have a maintenance contract with Green Hill for weekly mowing, etc., and have been especially happy with the customer service. I never give 5 stars to anyone, but Green hill really went above and beyond on my services with them that's why they deserve the five stars. If they had more stars I would give them the max. Their prices are reasonable and their services are amazing. Their manger pays me a visit every time they serviced me and on his way to the car he picked up dead sticks on the ground and made sure my lawn looked as clean as possible. I appreciate the small things more than anything. I will never choose another company over them. These folks do an excellent job on lawn maintenance. Well-mowed and trimmed weekly (in season), our lawn is the envy of the neighborhood. Fall cleanup is exceptional - lawn and under bushes are left spotless (and we get a lot of leaf drop each fall). They've been doing our lawn maintenance for several years, and we're very pleased with their service. Green Hill is a competent, reliable landscaping company. I have contracted with GH Landscaping for many years, recommended them to friends and family and everyone is extremely pleased. If you need a great landscaping service, GH Landscaping is for you. We've also had nothing but great service from Green Hill over the past three years that they've been mowing our lawn. We just had them out for leaf removal, a monstrous job on our property, and the crew didn't leave a single leaf behind when they were done. I've talked to some of their crew leaders, and it's clear they take a lot of pride in their work.